31.05.2014. Like most Americans, when someone would mention Georgia, I would think the state in the south. That began to change for me last year when I heard the International Wine Tourism Conference would be held in Tbilisi, Georgia. Georgia is a fascinating country, situated north of Armenia and south of Russia with its western border on the Black Sea. Although several people I visited with prior to my going expressed surprise that wine is produced near Russia, Georgia is also known as “The Cradle of Wine.” Georgians have made wine for more than 8,000 years. After very little rest, I joined a group of fellow bloggers and headed out to the Tbilisi market. Covering several square blocks, the market offers its visitors everything from spark plugs to sausages. Row after row of vendors featured fresh produce, freshly baked bread, meats, cheeses, pickled garlic, honey, clothes and practically anything else you could imagine. I brought home a garlicky curry powder that I’ve used in a few dishes. After our market visit, we split our group into two cabs and challenged our drivers to find Cafe Kala, a place that came highly recommended. After twisting and turning our way through narrow city streets, we reached our destination. I chuckled when I saw the name of the bar next door – KGB Still Watching You. As this was our first Georgian meal, we ordered a little bit of everything and it was mighty tasty. 29.05.2014. Georgian wine companies are trying to find an alternative way in order to restore export to Russia. Due to the landslide occurred in the Darial Gorge on May 17, the road connecting Georgia and Russia is still closed. According to Chairman of the Supervisory Board of Telavi Wine Cellar', the Lars customs check-point is the only way for alcoholic beverages from where the products are exported to Russia. Zurab Ramazashvili says that at this stage there is no shortage of the company's wine in Russia thanks to wine stocks, but if the road is not open in the next week , there will be a shortage. 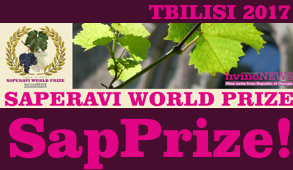 In his words, Telavi Wine Cellar exports its products to 22 countries and is less dependent on the Russian market . Marniskari winery has also suspended wine export to Russia. The company's CEO explains to Georgian radio Commersant that they are looking for alternative routes, but containers loaded with wine are still staying in the Darial gorge and waiting for the resumption of traffic. Lasha Revazishvili notes that at this stage the company doesn’t suffer losses, but if export to Russia is not restored in time, it will create a shortage in the market. 29.05.2014 (Hvino News). Georgian producer Winery Khareba has won two gold awards and one silver at Citadelles Du Vin wine contest in Bordeaux, France. Winery Khareba's huge success in 2014 is building upon the company's participation in Citadelles Du Vin in 2013, which was also successful. Last year Winery Khareba's dry white Chateau Lipartiani 2011 won the silver award. 25.05.2014. Wine lovers had a great opportunity to enjoy fine Georgian wine at the New Wine Festival 2014. Hundreds of people gathered at Tbilisi’s Open Air Ethnography Museum today and tasted sweet samples of some of Georgia’s best wine, listened to live music and ate fresh food. Organized by the Wine Club Georgia, the festival was held for the fifth time this year. The annual event offered guests the privilege of tasting a full array of wines from all of Georgia’s leading wine companies, local wine cellars and boutique wines from all regions of Georgia. As guests sipped on their wine, local musicians from Jazz Quartet IrReSoNic and Folk Ensemble Akhlukhlebi entertained the crowds. In addition to tasting various Georgian wines, visitors could watch a potter in action and even make their own pottery creation. 22.05.2014. Georgian wine-makers hope that a road connecting Georgia and Russia will be opened on Sunday or Monday. Director of the Kakhetian Traditional Winemaking Mr. Zurab Chkhaidze notes that they are waiting for the road opening to immediately restore the export. Moreover, about two-week supplies have been sent to Russia. According to him, if the road is not opened within two weeks, then they will have to search an alternative road: the company’s products will enter Russia from the Azerbaijani or Ukrainian territory. Director of Dugladze Wine Company Mr. Zaza Dugladze says that they managed to send one consignment of the product before the landslide in the Darial Gorge while another remains on the Georgian territory. "We hope that the road will open on Sunday or Monday, but if this does not happen, then we‘ll face problems,”- Mr. Dugladze adds. In his words, the company is going to send cargo to Russia by plane, which, naturally, will be more expensive. 20.05.2014 (Hvino News). A special jury has selected 40 participants wishing to participate in the New Wine Festival. The festival organizer Malkhaz Kharbedia, head of the Wine Club, explained that the participants will arrive from almost the whole Georgia. According to him, almost all leading wine companies operating in Georgia will present their own products in the festival. 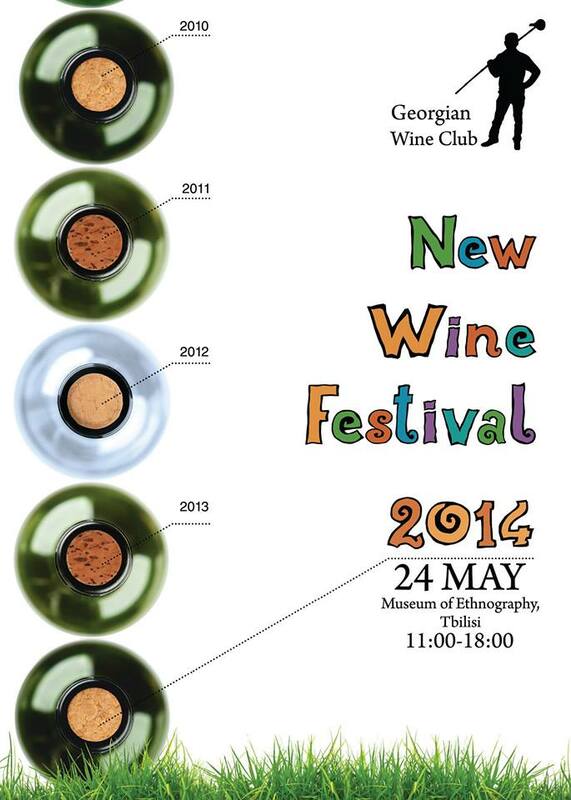 The New Wine festival will be held at Tbilisi's Ethnographic Museum on May 24. Kharbedia explains that the main criterion during the selection of the participants was that wine should be healthy. 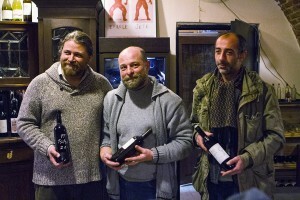 "One of our main goals is to eradicate the problem of weak home-made wines. Wines in many cases are weak," - the Wine Club founder said. 19.05.2014. A week-long festival showcasing traditional Georgian culinary delights in the capital of Indonesia has come to an end. Today was the last day of the Georgian Food Festival Week, which opened in Jakarta on May 12. To coincide with a month of celebrations, the Georgian Embassy to the Republic of Indonesia held a seven-day Georgian Food Festival. A famous Georgian chef from the Georgian culinary show "Gurmani” was invited to take part in the celebration to ensure Indonesian guests got a taste of true Georgian flavours. The opening ceremony was held at Fiesta restaurant inside Hotel Sari San Pacific and saw Georgian food and drink served to an array of guests, who listened to the smooth tunes of Iriao, a Georgian ethno-jazz band, as they ate traditional Georgian food. 15.05.2014. The first wine bar will be opened in Georgia. "Schuchmann Wine Bar" will be located in old Tbilisi, in the historical building of Karvasla (Karvasla shopping mall), and will start functioning in June. The bar is owned by the German-Georgian wine company Schuchmann Wines which plans to sell the project, as a brand, abroad. The company's general director Nutsa Abramishvili said the bar will be designed mainly for foreigners and its purpose is to acquaint tourists with Georgian wine culture and traditions. She notes that wine tasting will be held in the bar, sommeliers will tell the guests about winemaking in Georgia and in general, about the history of wine. 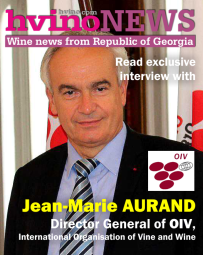 Abramishvili is sure that the selling of brand will contribute significantly to awareness of the Georgian wine abroad. She noted that gastronomy and small pizzerias brought the world fame to the Italian wine. The company wishes “Schuchmann Wine Bar" becomes a business card of Georgian winemaking and gastronomy. As for the prices, Abramishvili adds that the prices in the bar will be above average. 11.05.2014. Schuchmann Wines will reduce export to Russian market next year. Nutsa Abramishvili, general director of the joint German-Georgian wine company explains this decision by the diversification of business and says the company must not depend on the market of any country, especially when there are some risk factors, including the political situation or the embargo experiences. Starting from 2015 Schuchmann Wines policy will cover several stable markets, where products will be exported in almost equal quantities and sales will be increased. "We want to become more active in China, Europe, Americas, however, our products are sold in several U.S. states. Schuchmann Wines is also represented in Cyprus, Greece, Australia, Germany, Austria. We are the only company from Georgia selling wines in France. We also cover post-Soviet countries, including Ukraine", - says the head of the company. As for the situation in the Russian market, Abramishvili notes that the situation in Russia is stable in terms of export and sale of products, and the company has no problems in this regard, however, adds that the Russian market was still a private project for Schuchmann Wines, and the company focuses on diversification and export expansion of export destinations. 10.05.2014. Large-scale export growth to Russia has led to wine price hike in the local market, writes the Georgian daily Rezonansi. According to the newspaper, family wine of local production became more expensive by 30-50%, and one liter of wine costs on average 4-5 GEL, while in some cases cost reaches 12-17 GEL. Winemakers say that the family wine supplies expired in the regions and some factories face serious wine shortfalls. Entrepreneur Otar Berdzenishvili notes that, compared with last year, the family wine price has almost doubled in regions. According to him, price of Kakhetian family wine of high quality is on average 4-5 GEL. Last year at this time it costed 2.5-3 GEL. Price of family wine has changed in Kartli region as well. Family wine price ranges between 2.5- 5 GEL in the consumer markets. In the same period of the previous year one liter of family wine varied between 2- 3 GEL. 09.05.2014 (Hvino News). Georgian wines have won one gold and two silver medals at Concours Mondial de Bruxelles, one of most prestigious international wine competitions. In May 2014 the Concours Mondial de Bruxelles celebrated its 20-th anniversary. Its results were announced today in Brussels, Belgium. Gold medal was awarded to Tamada Mukuzani 2011 by Georgian Wines & Spirits Company. 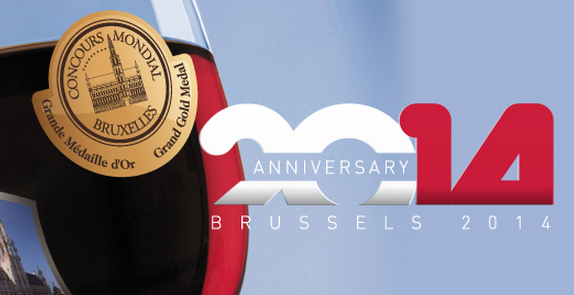 Founded in 1994, the Concours Mondial de Bruxelles has since then achieved the status of a world wine tasting championship. Twenty years experience have enabled the competition to become a benchmark among international wine contests. The Concours Mondial de Bruxelles has garnered its reputation by rigorously selecting renowned judges of proven expertise. 08.05.2014 (Hvino News). According to Georgian television, one of the best known country's film directors Nana Jorjadze has started shooting of 35 series documentary film "for the purpose of promotion of Georgian wine". The film is supposed to become a presentation and promotional material for Georgia wine - "a business card" - for foreign as well as Georgian spectators. The film series will be dedicated to Georgia's 8,000 years of history of wine production, wine tasting rules, major regions of Georgian viticulture and wine-production, leading varieties, other alcohol products (chacha, brandy, sparkling wine), wine cellars, wine producers and the interesting stories related to them. Separate series will be dedicated to Georgian cuisine, unique dishes and their matching with wine. The National Museum of Georgia plays an important role in the creation of the film. The project supporters are the Georgian Wine Association, Association of Sommeliers, and the Center of an Intellectual Property “Sakpatenti”. Tamar Bartaia is the author of the script. Georgian television showed a press conference with Nana Jorjadze and other project leaders. 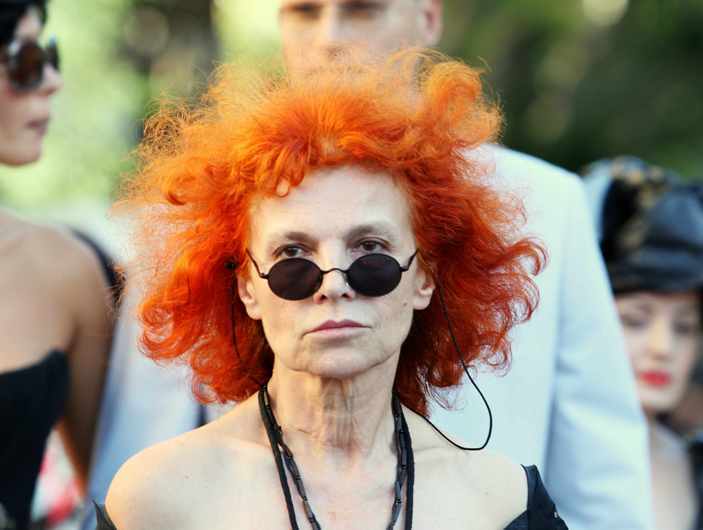 Nana Jorjadze directed several films including including 1996's "A Chef in Love", which became the first, and so far the only Oscar-nominated Georgian film. 07.05.2014 (Hvino News). 32 Georgian wines have received awards of International Wine Challenge (IWC), including one gold and two silver awards. The results of annual IWC competition were announced recently in London. The IWC gold was awarded to Marani Mukuzani 2012, produced by Telavi Wine Cellar. Congratulations! Georgia made an excellent progress this year compared to the previous years' results, doubling the total number of awards, and winning more top awards including the gold. In 2013 and 2012 Georgia won 15 and 12 IWC awards respectively. No gold awards were awarded to Georgia in 2012-2013. IWC assesses every wine blind and judges each for its faithfulness to variety, region and vintage. Every wine is assessed independently of its price; "great value for money" awards are made after the wine has been judged for quality. 05.05.2014. 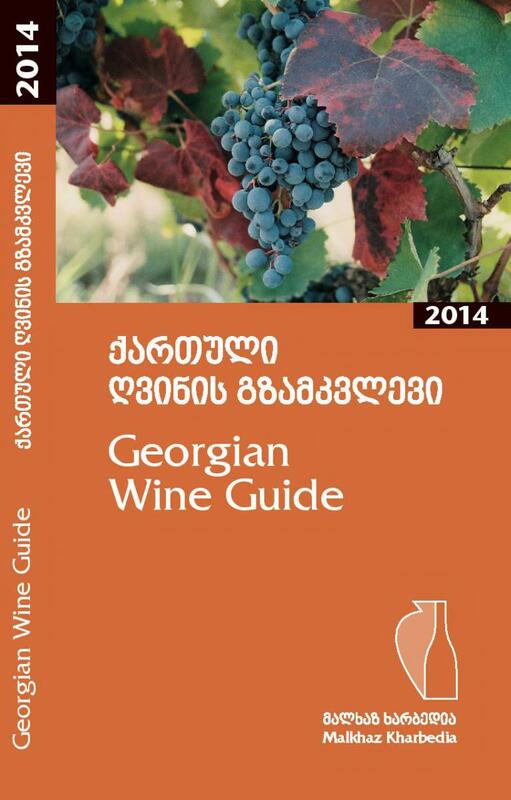 You have in front of you the third, 2014 edition of the Georgian Wine Guide. 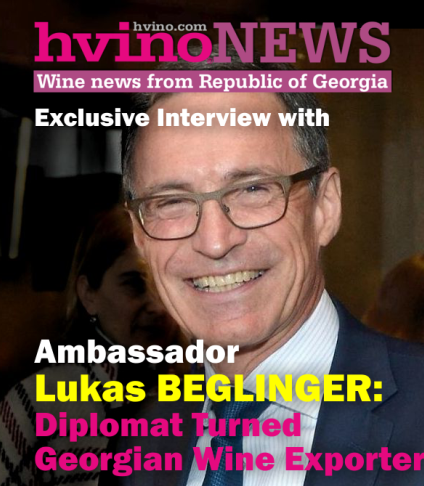 It is fortunate that this publication became a tradition so early; one may even be so bold as to say that this is a stable, annual publication which enables its readers to acquaint themselves with all of last year’s important events in the world of Georgian wine. I would like to repeat the fact that Georgian wine is currently going through an important stage of its development. 2013 was especially interesting in terms of viticulture and wine-making in our country: many believe that the year’s grape harvest was a particularly successful one and that the quality of the harvested grapes was high, and the vineyards did not suffer from the effects of any natural disasters (unlike 2012); in 2013, furthermore, viticultors and wine-makers were pleased with the yield of grapes they harvested. The second most important, and yet alarming, development of 2013 was the reopening of the Russian market. The latter promises great profits to Georgian wine-makers, and, with them, the temptation to let Georgian wine fall back into to its Soviet-age inertia and completely reverse the achievements of recent years. Particular attention should therefore be paid to this matter-among viticultors, wine-makers, the state, non-governmental organizations, large companies and small producers, consumers, the media, and all those who care about and have been enjoying Georgian wine during recent years. 02.05.2014 (Hvino News). According to the Georgian Wine Agency total of 3,4767,935 (0,75L) bottles of wine were exported to 21 countries in April, 2014.The overall export as of April amounts to 18,965,119 (0,75L) bottles, being 180% higher vs last year same period. Five leading export destinations of Georgian wine are as follows: Russia, Ukraine, Kazakhstan, Poland and Latvia, where Russia holds 70% of total volume of exports. China and Lithuania being on 6th and 7th places in volumes respectively. Exports in value as of April 2014 amounted to US$ 62,173,917 which is 215% higher vs last year same period. In April 2014 there are 492,528 bottles (0,5L) brandy exported, and as of April 2014 – 4,382,119 (0,5L) bottles. In value, the brandy exports amounted US$ 15,936,308 as of April 2014, being 84% up as compared to the same period of previous year. Ukraine is leading Georgian brandy export destination with 2,547,720(0,5L) bottles as of April 2014, whereas Russia as second with 1,570,506(0,5L) bottles the same period. 01.05.2014. Happy birthday, Hvino! We say that on May 1. Though Hvino News opened in April 2012, exactly two years ago - on May 1 - Hvino News was launched officially. 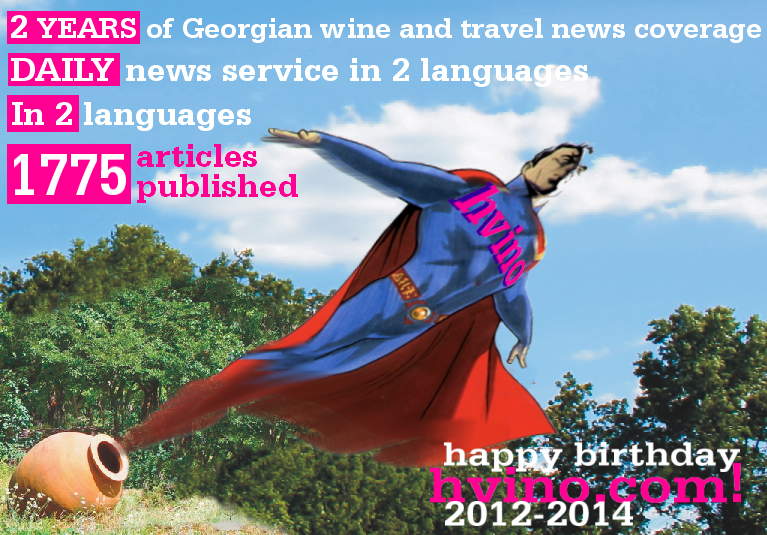 During two years Hvino.com has been offering a daily news service on Georgian wine for the global readership, having posted over 1775 articles in English and Russian. Recently Hvino's founder and chief editor Alexander Kaffka was interviewed by EurasiaNet.org, New York-based website that provides information and analysis about developments in the countries of the Caucasus and Central Asia. 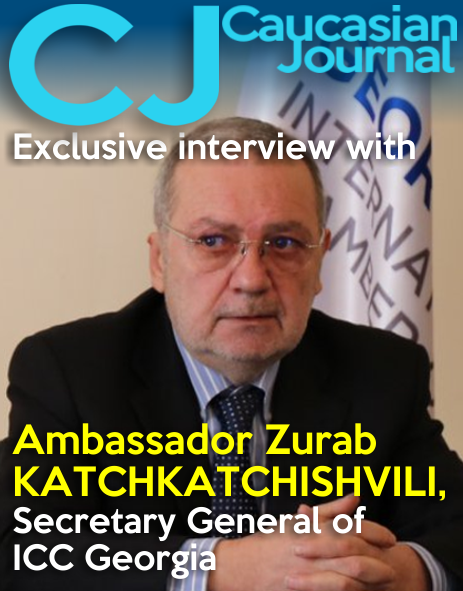 The text of the interview to EurasiaNet's Yigal Schleifer can be found here. Below we publish an expanded version. How did you get the idea for Hvino? I must explain I was born in Georgia, and was seeking for ways to contribute professionally to the country's progress. 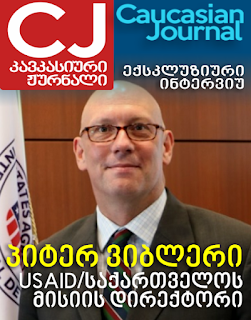 As my experience is largely in publishing, PR and marketing, I started with writing an article for a Tbilisi-based business newspaper, in which I shared my views about necessity for better international promotion of Georgia's "signature products," including wine and tourism. At that time – back in 2012 – someone interested in Georgian products faced a complete information vacuum. 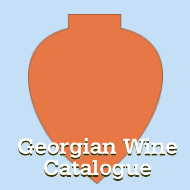 Despite a declaration that wine plays a special role in Georgia’s culture and history, neither the government agency responsible for wine nor the business association of wine producers had any presence on the internet. New Wine Festival in Tbilisi to focus on "family wines"
01.05.2014 (Hvino News). Fifth New Wine festival will be held Tbilisi's Ethnographic Museum on May 24. New Wine Festival is the only event where large enterprises as well as farmers can participate. Last year the festival was a great success – the Wine Club hosted about 20,000 visitors, mostly individuals interested in wine and consumers trying to learn more about Georgian wine. The festival also hosted numerous foreign guests and students that are now actively involved in promotion of Georgian wine. Last year, almost all large wine companies participated in the festival along with small wine houses and wine-maker farmers, selected by the Wine Club in the regions. Wines of only last harvest were presented at the festival.